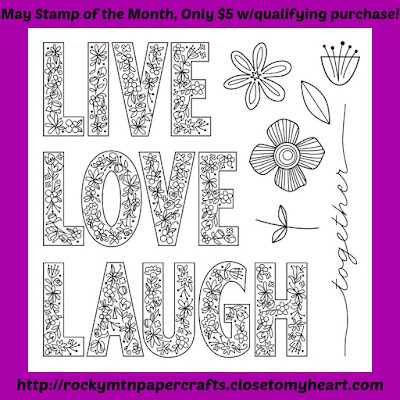 I LOVE the bold sentiments in the May Stamp of the Month, S1705 Live Laugh Love. Super cute set! The adorable flower images would be a great addition to your stamp collection as well! I can't wait to create with my set! So many possibilities! 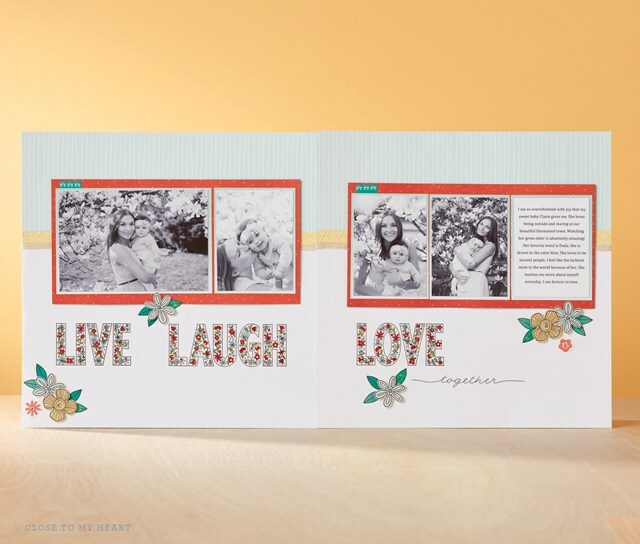 You can add this set to your collection for only $5 in the month of May with a qualifying purchase or you can purchase at the retail price of $17.95. Close To My Heart has an awesome new release today, be sure and check out all the new items in my store!